Michael Jordan Plays Beer Pong in Air Jordan XI Low "Concord"
Now we all know that Michael Jordan undoubtedly has a pure jumper, especially when the game is on the line, but how about his beer pong shot? 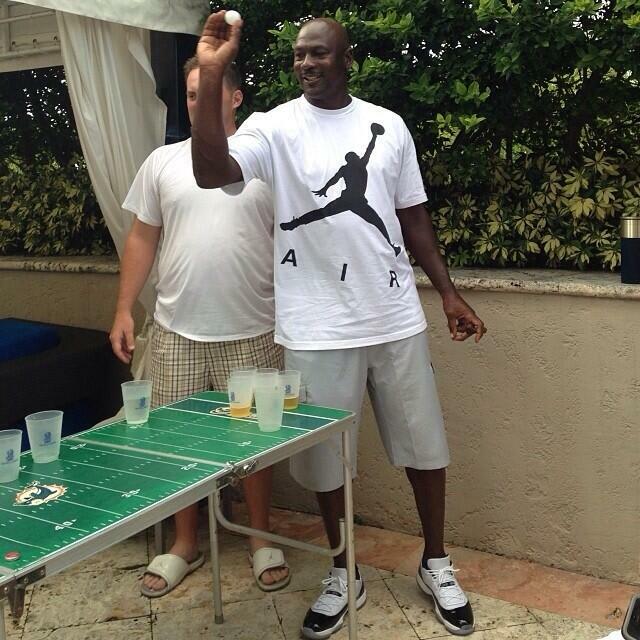 Never too old to get in on one of college&apos;s best pastimes, MJ himself recently threw down on some beer pong action while in Miami Beach. Appropriately decked out in Jumpman attire, His Airness was most notably rocking the Jordan XI Low "Concords." Yeah, he must have a hookup. Did the kicks help his game at all, though? If the "elbow rule" was in effect, chances are, no. Back up a step, MJ.